DCPC strives to recognize our interconnection to brothers and sisters in Christ from around the world, and to increase our understanding of the world through outreach and education. We wish to work for justice, peace, humanitarian relief, and reconciliation as called for by the Gospel. We are eager to establish personal relationships between community members across international lines as we build a personal, living bridge globally. 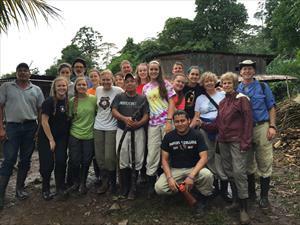 The Global Missions Committee fosters our relationships with our partners at the Sigona Presbyterian Church in Kikuyu, Kenya (click here for more information) and in the Kilambe region of Nicaragua (click here for more information). We also provide financial support through benevolences to several Presbyterian and ecumenical missions, as well as offering many opportunities to act locally. Finally, we send out mission teams in response to natural disasters such as Hurricane Katrina while our youth participate in a variety of missions each summer. Our committee is comprised of both adult and youth members of DCPC. We are always looking for new members to serve on this important group. If you would like to get involved, please click here to email Rebecca Clark. The Global Mission Committee at DCPC has three primary goals. Educating the congregation about the global mission of the church in general and DCPC in particular. Coordinating global mission activities that involve our members in hands on mission experiences around the world. 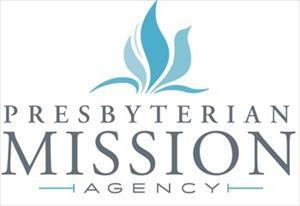 Contributing funds from our Global Mission budget to worthy ministries among our mission partners. Listed below are links to some of our mission partners. We invite you to learn more about these wonderful ministries we help support. Good Shepherd Hospital, DR Congo. Good Shepherd Hospital is part of the Christian Medical Institute of Kasai (IMCK). Learn more about their ministry through this link http://imck.org/. Near East School of Theology (NEST). N.E.S.T. is an inter-confessional Protestant Seminary serving the evangelical churches of the Middle East. 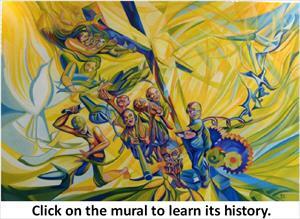 Learn more about their ministry through this link http://www.theonest.edu.lb/. Papa’s House (Nepal Orphans Home). Papa’s House serves the poor children of Dhapasi, Nepal through four different homes. 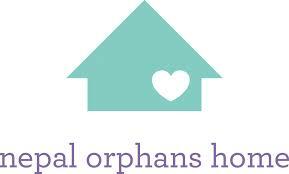 Learn more about their ministry through this link http://www.nepalorphanshome.org/. Jubilee House Community houses the Center for Development in Central America. Their goal is to work in partnership with communities and cooperatives to facilitate empowerment: enabling people to find their own solutions to the problems they identify and helping connect them with resources to solve their problems. Learn more about their ministry through this link http://jhc-cdca.org/home/. TOUCH Foundation. This ministry is committed to improving the health of the Tanzanian population by strengthening the health system across the different levels of care. DCPC member Dr. Steve Justus works for Touch Foundation and is our liaison with them. 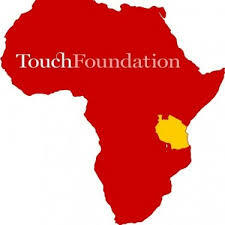 Learn more about this ministry through this link http://touchfoundation.org/. Raising South Sudan is part of Mothering Across Continents. This ministry was established in 2011 to help create educational opportunities for the poor struggling children of this part of the world. Learn more about their ministry through this link http://www.motheringacrosscontinents.org/RaisingSouthSudan/. CEPAD. Council of Protestant Churches of Nicaragua. CEPAD ministers to the communities of Nicaragua through development work. Through their partnerships they help communities and individuals come together to support one another to achieve their goals and dreams through sustainable development practices. Learn more about their ministry through this link http://www.cepadusa.org/. We also maintain two active partnerships with Sigona Presbyterian Church in Kikuyu, Kenya and the seven communities of Kilambe, Nicaragua. Partnership trips are scheduled regularly and teams support the development work that is occurring in these communities while building relationships and strengthening the church of Jesus Christ. Learn more about a partnership trip by contacting Robert Alexander, Associate Pastor for Discipleship and Mission at ralexander@dcpc.org. Learn more about these offerings and what they support through this link http://specialofferings.pcusa.org/.